Welcome to JoyBits. The Power of Creation is in Your Hands! 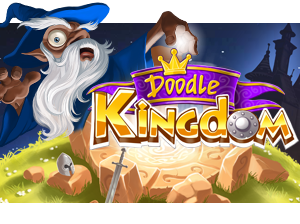 Pull up a chair and check out the award winning Doodle Series including the hit apps, Doodle God, Doodle Farm, Doodle Devil as well as the upcoming Doodle Kingdom. Each game offers widely imaginative and irresistibly fun puzzle game play that appeals to gamers of ALL ages. 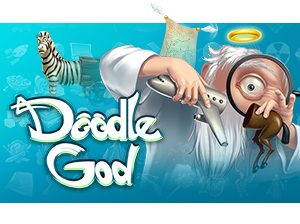 In Doodle God mix and match elements as you create thousands of combinations that result in your world growing from simple bacteria to one filled with animals, tools, weapons and entire civilizations. But beware, creating the world is not so easy, inventing the wheel might just trigger plague of zombies…Do you have a devilish side or a love of animals? 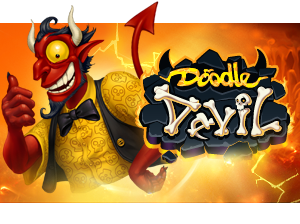 Doodle Devil and Doodle Farm might be just what you need to unleash your dastardly deeds or build a fantastical animal kingdom. Millions of players worldwide have fallen in love with the addictive, puzzle game play that allows your imagination to run wild. In addition to the brain-teasing Doodle Series, JoyBits continues to release fun apps including; Icy Clash, Mystery Castle and the upcoming hidden object hit Crime Case Files. Doodle Creatures is now available for Win8 and Winphone! Doodle Creatures is now available for Win8 and Winphone! Windows phone: http://www.windowsphone.com/s?appid=c7a089c3-ab9d-4c5d-b785-f34f4292d2c7 Windows 8: http://apps.microsoft.com/windows/app/doodle-creatures-hd/43267eb6-5112-4c3b-99f9-49d6cd9c273b Download it and enjoy!